People who are suffering with hair loss have been known to go to some pretty drastic measures to get their looks and confidence back. From sticky, uncomfortable hairpieces to painful, invasive implants, holding onto your hair has become a massive worldwide industry and is a concern for many men and women today. 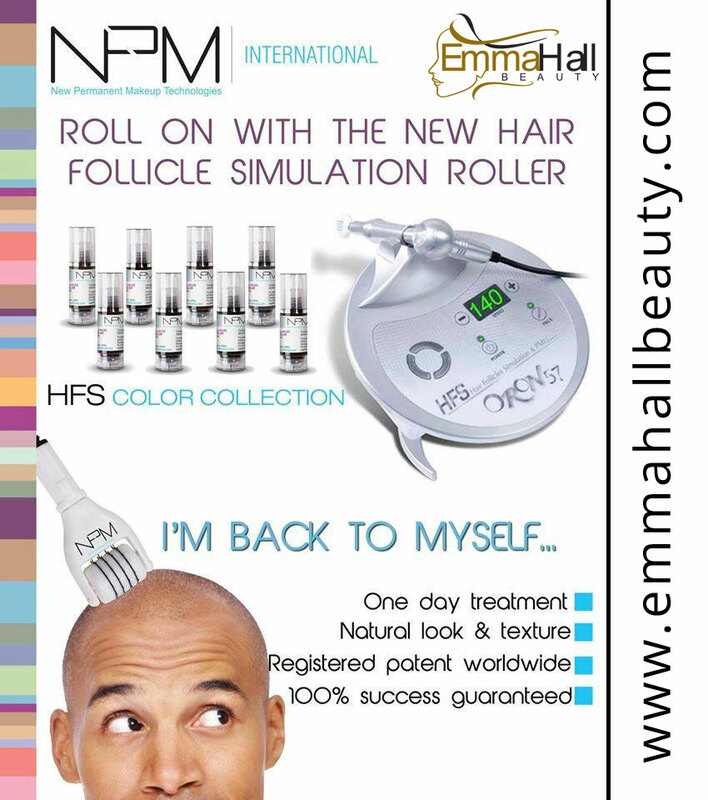 Here at Emma Hall Beauty, we’re pleased to be able to offer a revolutionary new treatment for hair loss that can have you looking good and feeling great in just a few weeks. Our scalp tattooing services are safe, effective and affordable and have already changed the lives of many of our loyal and satisfied clients. One of the techniques we use for scalp tattooing is the NPM Roller Technique. This system uses a micropigmentation roller that applies hundreds of simulated hair follicles to every square centimetre, and uses bespoke designed needles for minimal pain reduction and a faster treatment. 56 needles are used on the roller at any one time, making the end result remarkably even and natural looking. The NPM Roller also has the ability to reduce treatment time by up to 80 per cent, making it the perfect choice for those seeking quick results. It works with custom designed, high grade needles, which we will have picked to give you the perfect results. With hundreds of pigments to choose from, we can ensure we match closely to your natural hair colour. 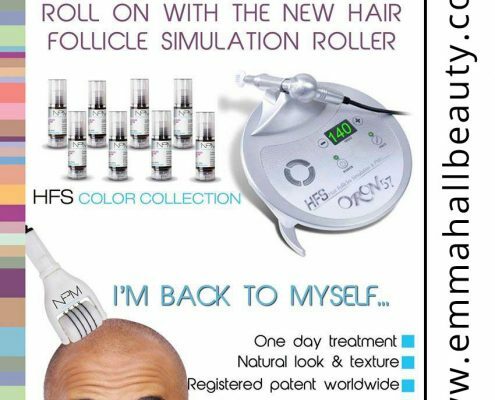 WHY CHOOSE NPM ROLLER FOR YOUR SCALP TATTOOING? Incredible colours: The pigments we use with the NPM roller come in a variety of shades, so that we can match your tattoo to your natural hair colour with perfection. Non allergenic treatment: Because the pigments are all mineral based, there is nothing in them which will irritate your skin or cause an allergic reaction. Unique colour correction: All NPM pigments contain a unique auto correction element, ensuring that the colour you see now is exactly the colour that will be retained, even after several years. Shorter treatments: Because the roller allows us to work on larger areas of the skin, your treatment time will be reduced and the end result will be instantly visible. Powerful rotor:The engine powering the NPM roller is one of the most powerful on the market. It is designed to eliminate scraping or scratching during treatment, and to give perfectly clean, neat penetration. Digital control: The precision digital control means we can adjust the roller speed and needle depth to suit the individual client. This means we can avoid piercing the dermis, and potentially causing a ‘blow out’ where a larger pigment is deposited.